We're looking for the right person to help shape some of the most important aspects of Rocketrip. You'll bridge the creative, technical, & business worlds to help define a vision & strategy to meet our company objectives & to continue making both employees & travel administrators excited about how they manage business travel. You'll work with Rocketrippers from Engineering, Sales, Marketing, & Account Management, to name a few. It's essential that you love interfacing with customers & believe that the success of the product is tied back to how awesome we make each & every user feel. Finally, you have a bias toward action & can break down complex problems into steps that drive business outcomes. Eat, sleep, & breathe the corporate travel industry, travel trends & user behaviors. Know the competition. Identify the whitespace. Become a subject matter expert. Be instrumental in helping define the product vision & strategy based on multiple inputs. You will sit at the intersection of corporate strategy, customer feedback, marketplace needs, & engineering resources. Work directly with the engineering / product team to drive product strategy from conceptualization through launch, creating work streams & tactics towards a strategic product roadmap. Manage work-streams across the value chain from growth & client success to data analytics, customer acquisition, & core external partnerships. Define & manage the product roadmap, setting expectations with all relevant stakeholders. Proactively identify & resolve issues that may impair the organization's ability to meet its strategic, financial, & technical goals. 5+ years work experience in product management of consumer or enterprise Internet products & technologies. A practitioner of Agile & Lean software development methodologies & project management. Prior experience in a senior product role at a product company, preferably one with both employee & administrator touch-points. Product management or design experience with a focus on software products & technologies that are SaaS and/or B2B2Cr-driven. Entrepreneurial drive & demonstrated ability to achieve stretch goals in an innovative & fast-paced environment. Excellent problem-solving, organizational & analytical skills, with the ability to evolve product strategy based on user feedback, research, data, & industry trends. Founded in 2013 & headquartered in New York City, Rocketrip is aiming to revolutionize business travel by introducing the motivation to save. We're a group of tech innovators who looked at the current state of business travel, became frustrated by the antiquated employee & employer experiences, & decided to do something big about it. Our team is focused on utilizing technology, design & data to align employee & company interests. 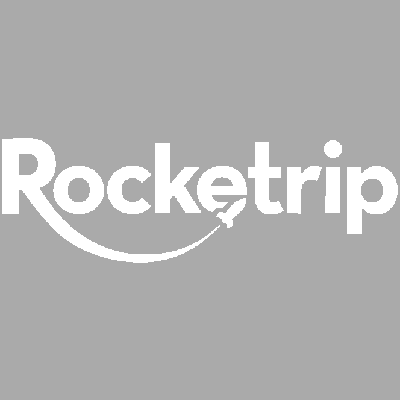 Rocketrip is backed by a renowned set of investors & advisors, including GV, Bessemer Venture Partners, Canaan Partners, Genacast Ventures, & Y Combinator.